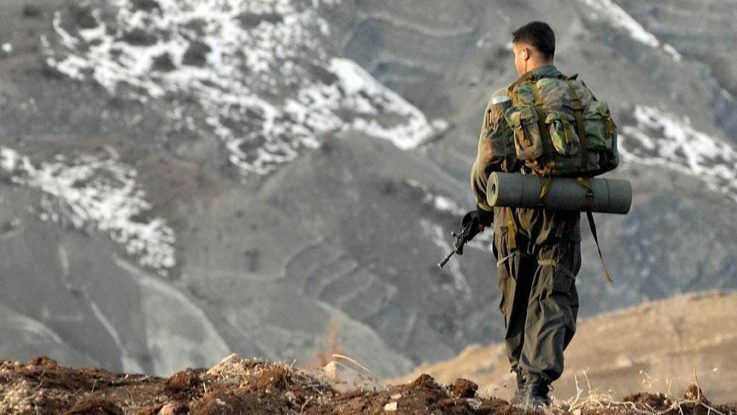 Eight PKK terrorists were killed by air-backed operations targeting the terror group PKK in the southeastern province of Sirnak, security sources said on Tuesday. Turkish security forces on Tuesday launched operations against two targets, killing eight terrorists, according to a source, who asked not be named due to restrictions on speaking to the media. The operations took place in the Beytussebab district after the drones located the terrorists in the rural area. The PKK — listed as a terrorist organization by Turkey, the U.S. and EU — resumed its armed campaign against Turkey in July 2015. Since then, it has been responsible for the deaths of around 1,200 Turkish security personnel and civilians.